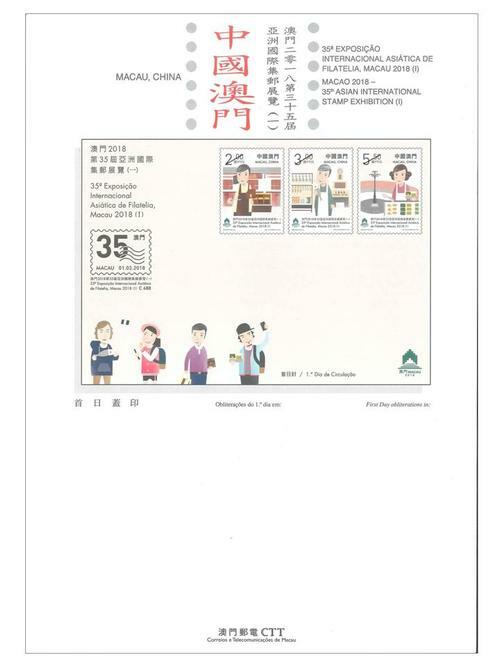 Stamp Issue "Macao 2018 – 35th Asian International Stamp Exhibition (I)"
The first Asian International Stamp Exhibition in Macao “Macao 2018 – 35th Asian International Stamp Exhibition” is going to be held from 21st to 24th September, 2018, at the Conference and Exhibition Centre of The Venetian Macao. 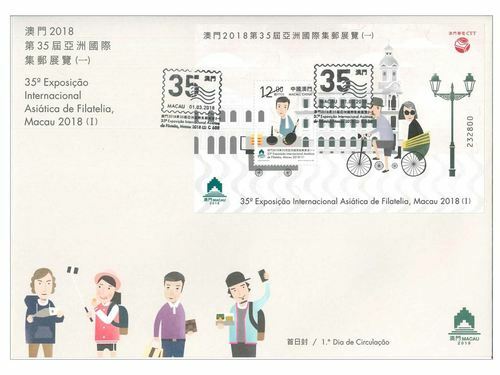 To solemnly embrace the event, Macao Post and Telecommunications Bureau is going to launch three sets of stamp issues featuring this exhibition. 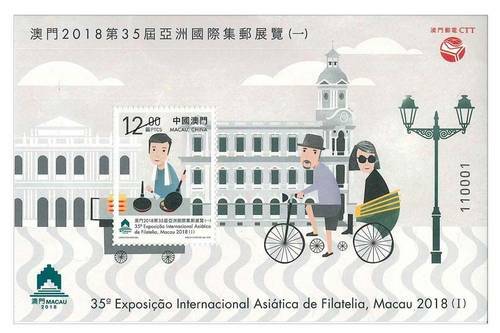 The first set with the stamp theme “Macao 2018 – 35th Asian International Stamp Exhibition (I)” will be issued on 1st March, 2018. 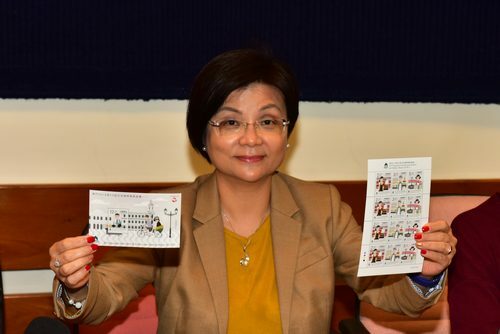 This issue includes a set of three stamps and one souvenir sheet. 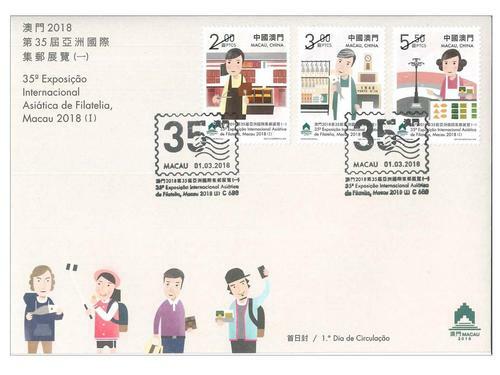 The stamps are illustrated by a Macao’s native designer depicting familiar streets and alleys accompanied by their gourmet specialties in the background. 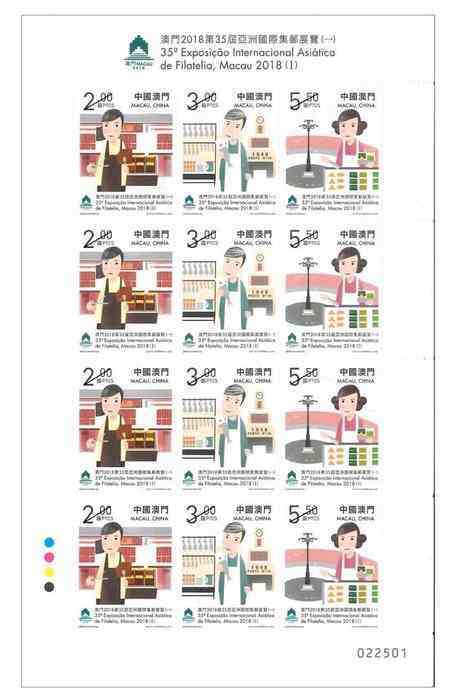 It vivaciously epitomizes the street life to the eyes of stamp collectors making it a very symbolic postcard of Macao. 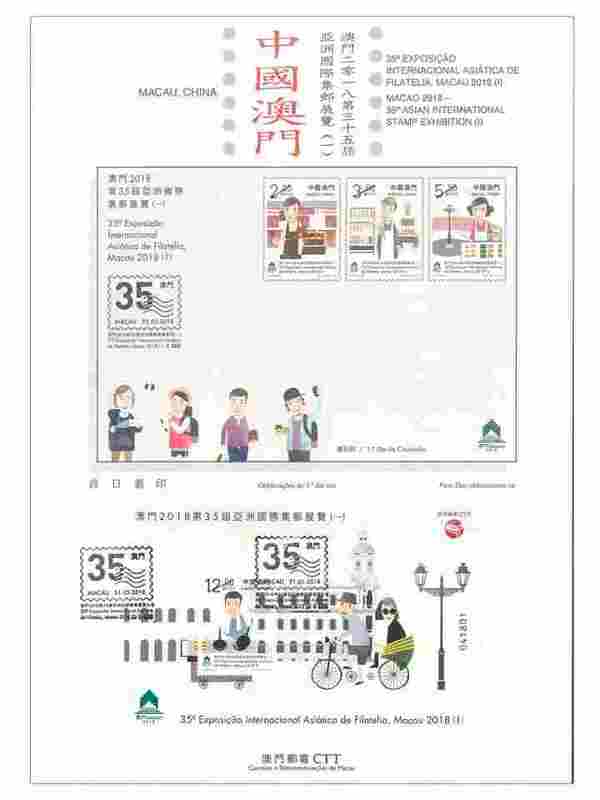 The stamp designer of this issue is Mr. Leong Chi Hang, and the text of the information brochure is written by Macao Post and Telecommunications Bureau. This is the second theme in 2018. The previous issued stamps are “Lunar Year of the Dog” on 05/01/2018, and the label stamp “Lunar Year of the Dog” on 31/01/2018. 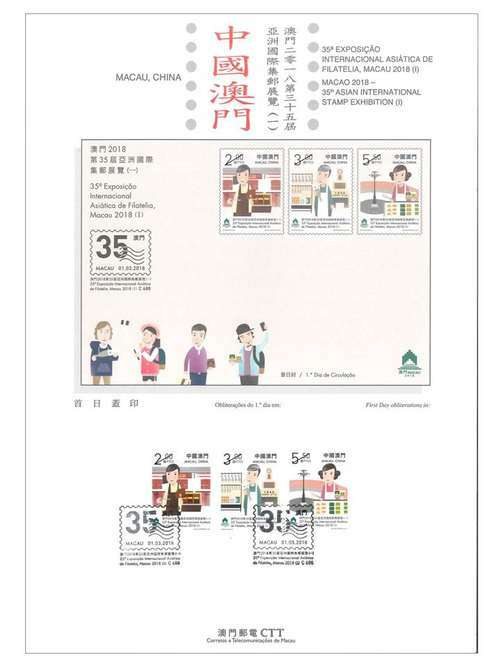 Technical Data of Stamp "MACAO 2018 – 35th ASIAN INTERNATIONAL STAMP EXHIBITION (I)"